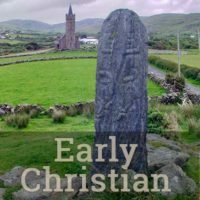 In the century of Irish scholarship since Meyer the provenance of the early Irish epics has been moved forward in time to the early medieval, likely preceded by a long period of oral tradition. The phrase, however, still resonates in an entirely different way. 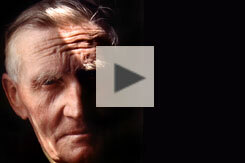 The voices considered in this project belong not only to the bards of ancient Ireland. The Voices from the Dawn belong to all who have been moved by the power of these ancient sites: the farmers who have lived in their shadows, the poets who saw in them images of time cast in stone, and the archaeologists who have made them a passionate vocation. This project began in earnest in 1978, when I started making summer excursions to Ireland for research and media creation. 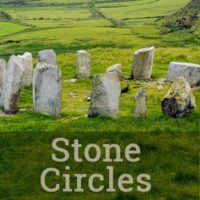 When completed this website will bring together the results of my exploration of the nexus of Irish prehistoric monuments and their mythology and folklore. 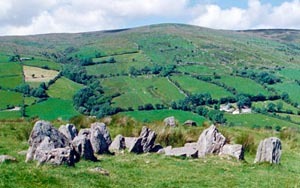 There will be some 130 ancient monuments included in the project. As new sites are added to the project they will be featured on the Voices from the Dawn Facebook and Twitter pages. Subscribers there will be notified of the updates. 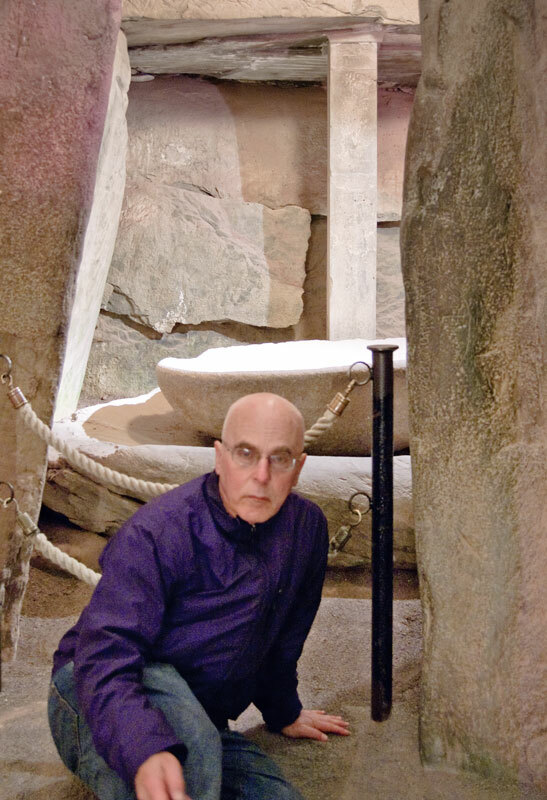 Waterville schoolteacher Michael Dineen explains how folklore helped to preserve ancient monuments. 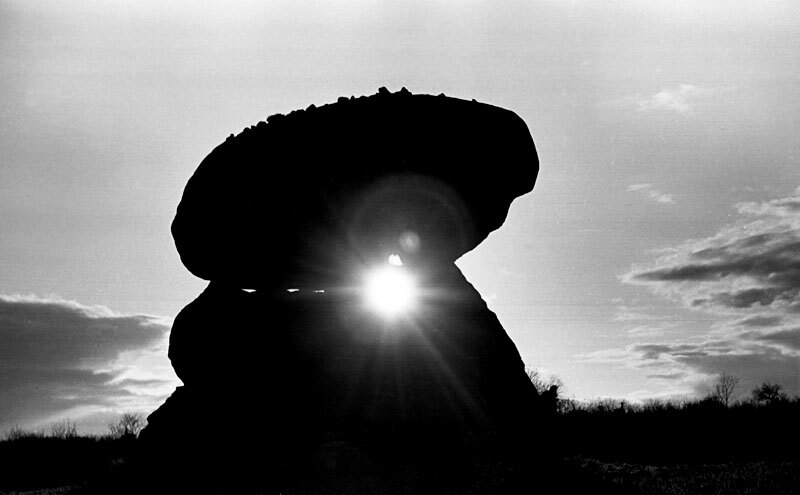 I first encountered an Irish megalithic monument, the Proleek Dolmen, in 1968. 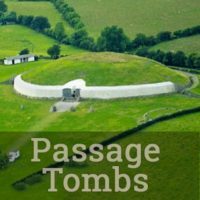 I also photographed, from the other side of the fence, the great passage tomb of Newgrange, then under excavation. 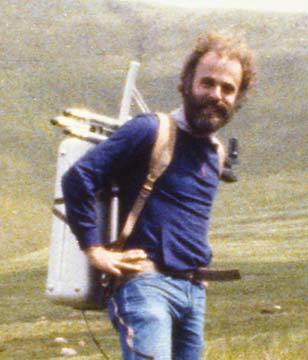 In later visits to Ireland, inspired by the 1960s work of Paul Caponigro, I traveled with a 4×5 view camera in a backpack case (see photo, below left). Eventually this work evolved, with the technology, to digital and then to virtual-reality imaging. Some of the virtual-reality tours of the monuments are presented here in a version compatible with a head mounted display (HMD), such as the Google Cardboard or the Oculus Rift. For information on this option, click here. To put my hands on a stone touched by the hands of a Neolithic Irish architect thousands of years ago brought a sense of communion with human history. 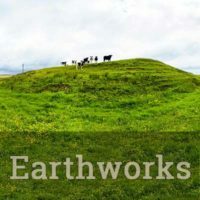 To simulate this sense of connection for visitors to Voices from the Dawn, the site contains media, such as audio, video, and virtual reality panoramas, designed to create a digital verisimilitude. In the next of nearly a dozen visits to Ireland I worked on a different portfolio, but also began the research that culminates now in Voices from the Dawn. Unless otherwise indicated, all content on this site is copyright ©2010-2018 Howard Goldbaum, and may be repurposed only with permission. 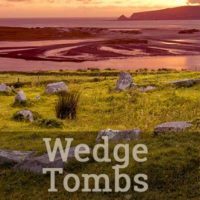 While photography today may not always be the “honest friend,” I hope that the images and virtual tours found here will present an immersive digital environment for appreciation of the Irish landscape—the next best thing to being there. The Voices from the Dawn would have never been heard without the generous help provided by the friends I made all around rural Ireland: the farmers, publicans, priests, and local folklorists who agree to be taped and photographed for this project, beginning in 1978. I was assisted at the outset by Bairbre O’Floinn at the Department of Irish Folklore, at University College, Dublin. Archaeologists Peter Harbison and Michael Herity were kind enough to provide some encouragement when we met. 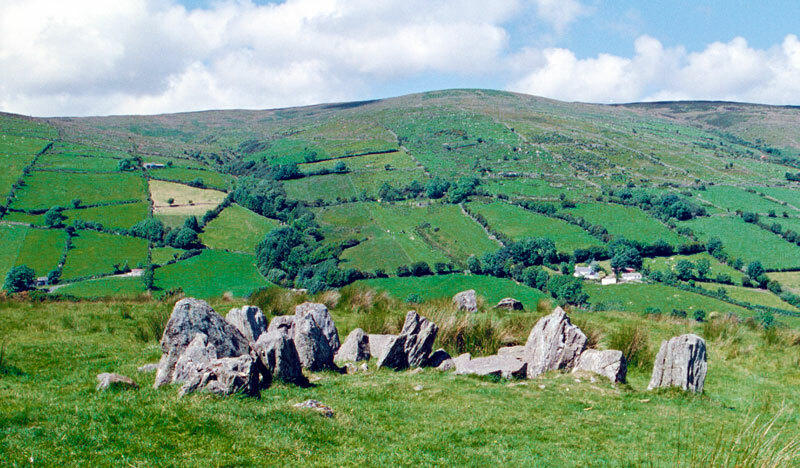 The Illinois Art Council awarded funding for one of the first fieldwork seasons in Ireland. Bradley University research grants subsidized other summers of myth-and-monument hunting. 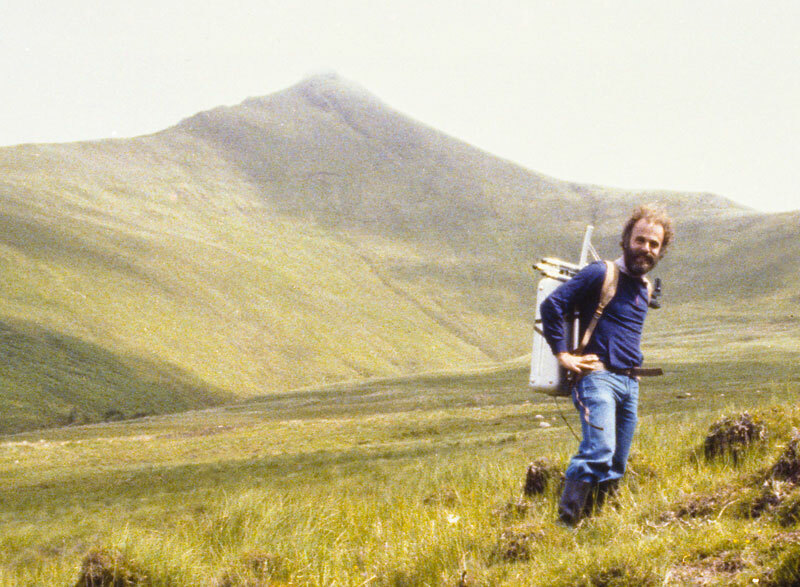 Carleton Jones, archaeologist and lecturer at NUI Galway, allowed me to document his Burren field work during visits in 1998 and 1999. 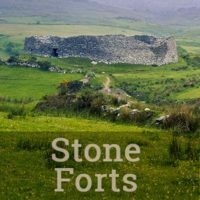 His Temples of Stone (2007) is both a brilliant introduction to the subject and a valuable field guide. The University of Nevada, Reno (UNR) allowed me the luxury of a full-year sabbatical to focus on the work in 2010. During much of that time I enjoyed the hospitality of Dean Nicholas Baldwin at Wroxton College, the Oxfordshire, England campus of Fairleigh Dickinson University. The fieldwork was further augmented in 2013, supported by a grant from the Center for Advanced Media Studies at the Reynolds School of Journalism (RSJ) at UNR. Jackie Rejfek and Hailee Vance, RSJ graduate students, helped with design concepts and research. As the project evolved from its media-creation stage to its writing, I was fortunate to have the invaluable editing assistance of colleagues who care very deeply about the subject matter and who have themselves published widely in the field. 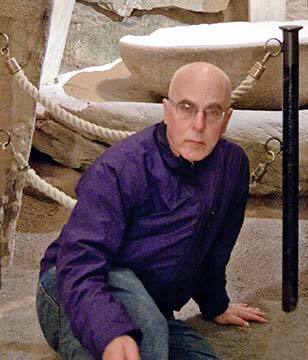 Ron James, the Nevada State Historic Preservation Officer, had helpful suggestions about each entry, and has offered guidance within the traditions of folkloric research and scholarship. 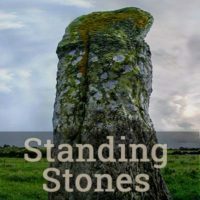 Elyn Aviva, the co-author of guidebooks on Powerful Places (of Ireland and elsewhere) has brought her intuitive love of ancient stones, as well as her grammatical sense, to these pages. Anthony Weir, the Irish poet, painter, linguist, and guidebook author, has been a close and critical reader of each page, and his comments and corrections are always spot-on. In Glencollumbkille, Liam O’Cuinneagain, founding director of the Oideas Gael Irish language school, cared enough about the work to give very generously of his time. Others who have offered assistance include Göran Burenhult, Robert Chapple, Michelle Comber, Robin Courts, Mike Croghan, Patricia Curran-Mulligan, Philip David, Michael Fox, Elana Goldbaum, Jean Jost, Ed Lamoureux, Séamus McGinley, Michéal de Mórdha, Gearóid Ó Díomasaigh, Francis O’Rourke, Clare Tuffy, David VonSeggern, and John Waddell. The 2018 redesign of the site, which moved it to a faster (and encrypted) server and made it fully responsive, would not have been possible without the imaginative technical support of Luke Sorensen, and the critical design sense of Katherine Hepworth. I am forever grateful to all who have assisted, both in the fieldwork and in the editing of the text. However any factual errors, lack of clarity, or cultural misunderstandings I will claim solely as my own. Modern archaeology represents a scientific and rational approach to the study of ancient monuments. The same sites, as depicted by mythology and folklore, have a very different narrative. But as disparate as these approaches may be, there does not have to be a conflict between the two worlds. 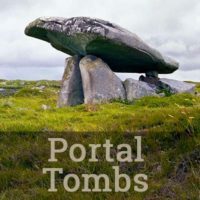 Indeed, the speculative and phantasmagoric interpretations of Irish prehistoric monuments may have contributed to the preservation of many sites, and subsequently developed into the fascination that prompted later scientific examinations. I hope you have enjoyed visiting Voices from the Dawn.